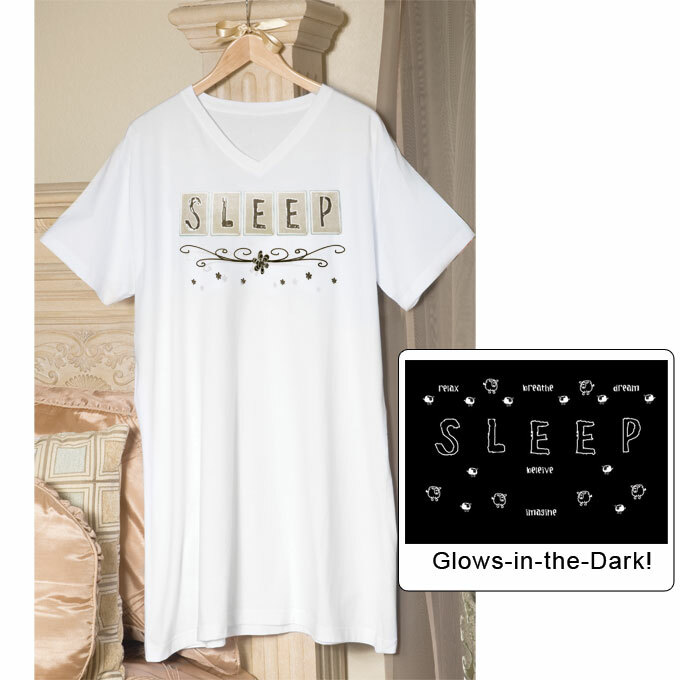 Our Cover ups are a comfy cozy part of our Glow in the Dark products! Wear them to the beach or pool as a cover up, to lounge around at home or wear to the next "Girls Night Out" sleepover! These cozy oversized shirts look cool and feel great! Cover ups are 100% Cotton. One Size Fits All (length 34 inches). Click on the nightshirts below for an enlarged version and order options. You will be able to 'mouse over' the image to see the Glow in the Dark effect. If you are using Safari, you may need to use a different browser. We recommend Firefox http://www.mozilla.org/products/firefox/all.